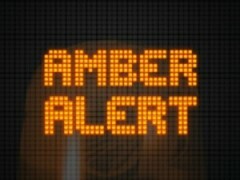 There is a Child Abduction Emergency, currently in action, in Maryland. The child, Karina Elizabeth Garcia, is an eleven year old Hispanic female who is in the company of Elmer Velaya, a 30-37 year old Hispanic male. The police have instructed anyone who sees the pair, to not attempt to take action or approach the pair, but to dial 911 or #77. At the request of Prince George’s County PD, the Maryland State Police have issued a Maryland Child Amber Alert.